reBourne has released their latest: the Bali House. This gorgeous tropical paradise is available furnished or unfurnished, as a skybox or as a ground house. It’s really quite stunning. I was able to check out the house during a blogger preview, and all these pics were taken at the preview site. 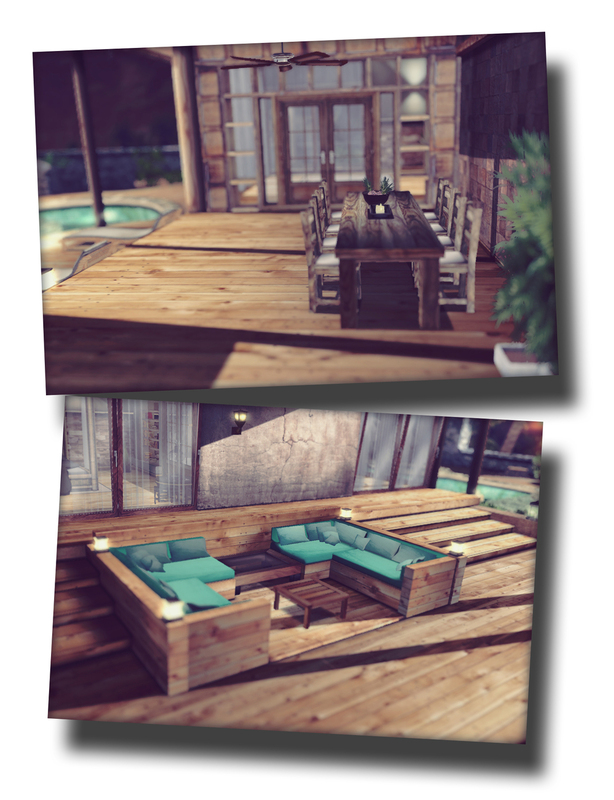 SL shadows were NOT enabled when I took these — that’s just how awesome the shading and light are in the build. I’m a little tardy with this post – sorry about that — but if you move fast, the Bali is available for a sale price until 11AM SLT today, August 4!! Until that time, the furnished house is $7500L and the unfurnished is $4500L. GO NOW.